Brownies are a hype at the moment, and there is a reason for it. They are amazing! 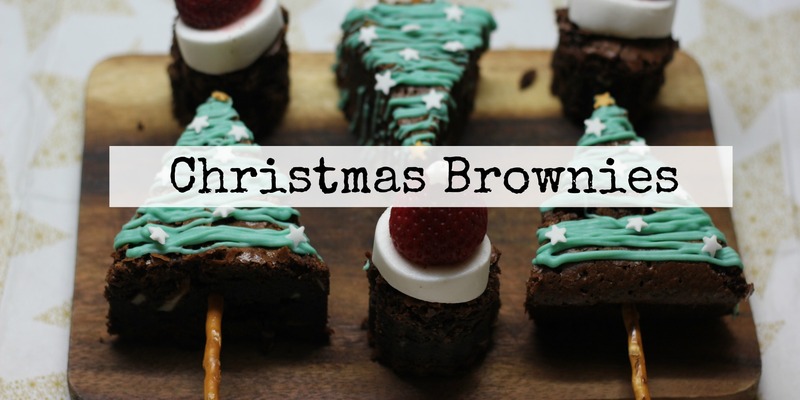 But imagine not just a simple brownie, but a brownie with a christmas touch. What do you think? 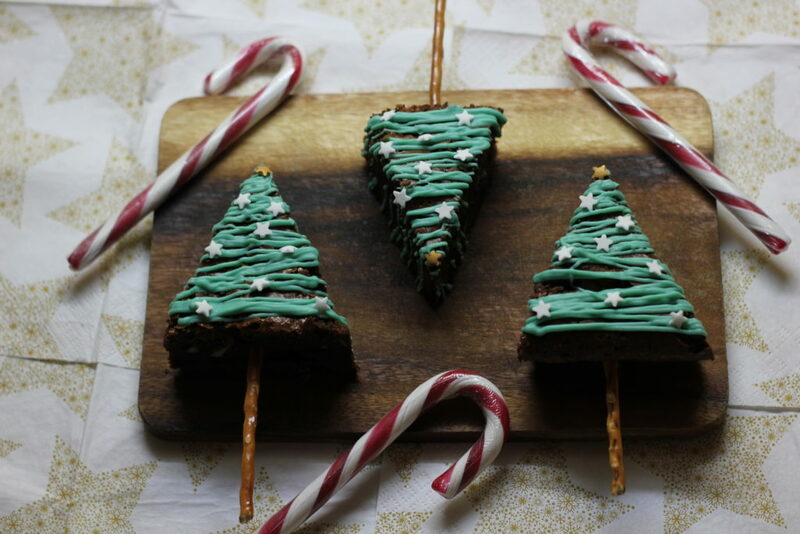 here are two simple Christmas creations with Brownies. This recipe is awesome. Crunch on the outside and moist on the inside. Be aware not to eat it all before getting to decorate them! Preheat your oven to 170 degrees celsius. Prepare your form with parchment paper or baking spray. Melt the chocolate together with the butter in a pot at low heat, until evenly combined. In another bowl beat the eggs with both types of sugar until it turns thick and creamy. Mix in the melted chocolate and butter, and later the flour and cocoa powder sieved. If you want to make it interesting, mix in a 4 cl shot of Jägermeister. Pour the mixture in the baking form and take it to the oven for around 30 min. or until you you stick a knife in and it comes out clean. P.S: For the next recipes the quantities will depend on how many of the follow you want to make. Cut the brownie in circular form, with a cutter or a knife (the size is up to you. I think mini is cute!). Wash your strawberries and cut the bottom of it taking out all green leaves. Cut the marshmallow in 3 parts. Now you just need to assemble putting the brownie on the bottom, followed by a marshmallow piece and the Strawberry on the top. With the Whipped cream on the piping bag draw an pompom on the top of the strawberry so it will look like Santas hat. Cut the brownie into triangles (as big as you want) and place them in a piece of parchment paper. Stick a piece of candy cane or pretzel stick (in Germany is not so easy to find the candy canes) on the bottom of the triangle it will look like a tree. Melt the white chocolate and dye it green. Put it in a piping bag and decorate your brownie with it. To top it all of, use some sprinkles. Pretty easy, right? 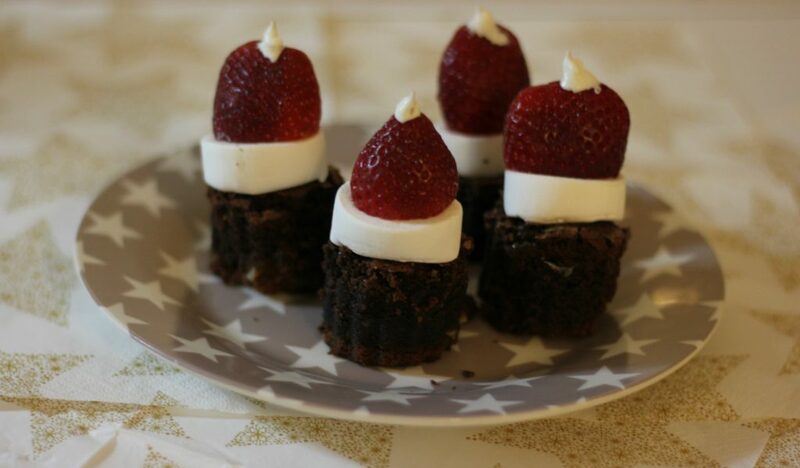 Now you have two different kinds of delicious way to serve your brownies on Christmas! Let me see your creations using the #whenyouliveandyoucook or #whenyouliveandyoubake on Instagram!